This year's boat show season has had tons of inspiration on offer, with mouthwatering boats in abundance. We thought we'd take a look at some new boats from three of our favorite brands: Bayliner, Larson, and Carver Yachts. The 2016 Bayliner VR5 replaces the popular 185 BR. In this video, Bayliner shows us how much more space this affordable runabout has compared to other similar boats. We love the convertible port seat and ample storage, and the boat's lines are simply beautiful. Also, the swim platform extends past the running surface, meaning that this time, an 18-foot boat is really an 18-foot boat; no usable interior space is lost! BoatTEST's review notes options like a removable table and SeaDek nonskid teak-look flooring, but we think the standard offering looks pretty darn good. This Larson FX 2016 promo video is worthy of a fine travel documentary; we want to run away from home and spend our life doing what these folks are doing! 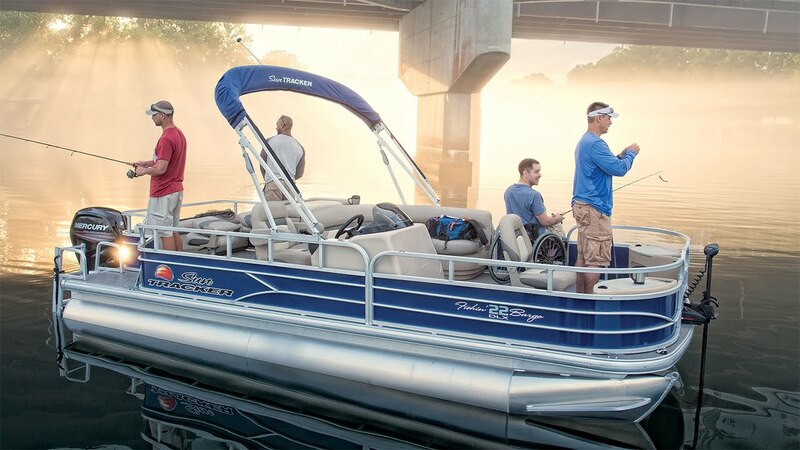 Each FX model (2020, 1850, and 1750) is available with a simple tiller operation for the pure fisherman, or a versatile dual console setup for those who enjoy both fishing and towing friends on waterskis and tubes. Many features, like aerated baitwells and livewells, come standard. Choose your boat's color inside and out and make it truly your own. We're enjoying designing our "dream boat" and know you will, too. Ready for some serious luxury? Here it is: the C50 Command Bridge from Carver Yachts. Three staterooms, two heads (each with a shower), and a well-appointed salon are the first three things we noticed when we looked over the C50's photos and specs. The standard galley has a convection microwave oven below the two-burner cooktop and two grounded 110V outlets. You'll find one 110V grounded outlet in each head, too. The staterooms each sleep two people (twin bunks in the guest stateroom). Don't take our word for it: see for yourself all the beautiful luxury the C50 Command Bridge motor yacht offers. Well, those are our picks - for now! Which boats are you dreaming of this season? Find OEM Bayliner, Carver Yachts, and Larson boat parts for less today at our website, greatlakesskipper.com. This entry was posted in General and tagged boat show, new boats, larson, carver yachts, boating, bayliner on March 11, 2016 by admin.